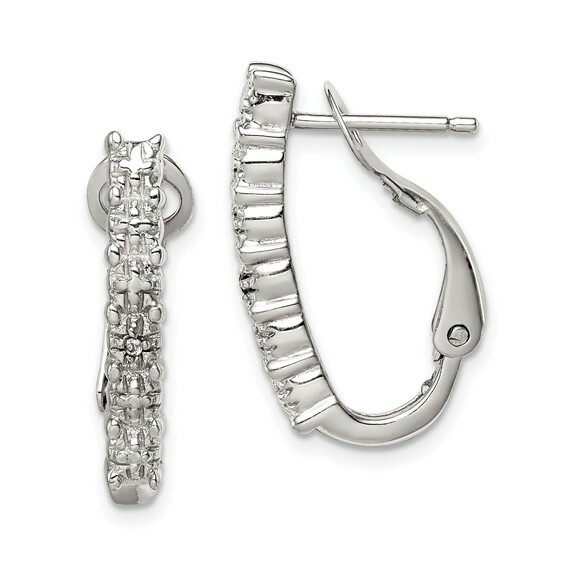 Sterling Silver CZ Earrings. Weight:3.5 grams. Entire earring measures 13/16 inch tall by 1/8 inch wide. Each earring is the size of a penny.